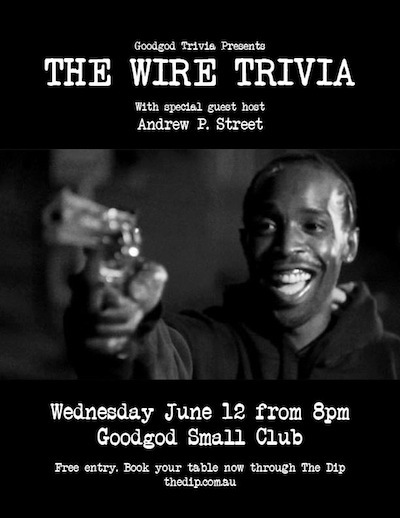 Straight outta Hamsterdam, Goodgod presents The Wire trivia night. Hosted by Time Out’s Andrew P Street (the P is for Proposition), it will sort the soliders from the pretenders with three rounds of Wire-trivving goodness, plus action rounds, prizes, and more. Reckon you know your red tops from your WMD? Get to Goodgod on Wednesday 12 June.